One of our contributors Sean Blair has asked if we can appeal for any photographs of Alexander Strider bodied Volvo B10B M902 DRG. 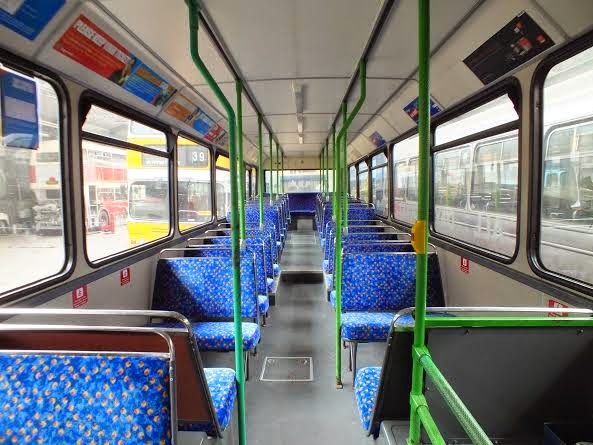 Sean is the owner of this vehicle which was new to the Busways fleet in 1994 and numbered 1902 when Busways acquired 11 demonstration vehicles with various chassis and body versions as part of a company trial. 1902 in company with preserved Busways Dennis Dart K723 PNL. Soon the Volvo will be painted in Busways livery. Other vehicles on trial included the Scania L113CRL, which were delivered to Busways with Alexander Strider and Northern Counties Paladin bodywork. Dennis Lances were also acquired with Plaxton Verde and Optare Sigma bodies. In late 2011, 1902 was purchased from Stagecoach by the Tyne and Wear Bus preservation group and was used to attend the NEBPT Seaburn Historic Vehicle display in 2011. 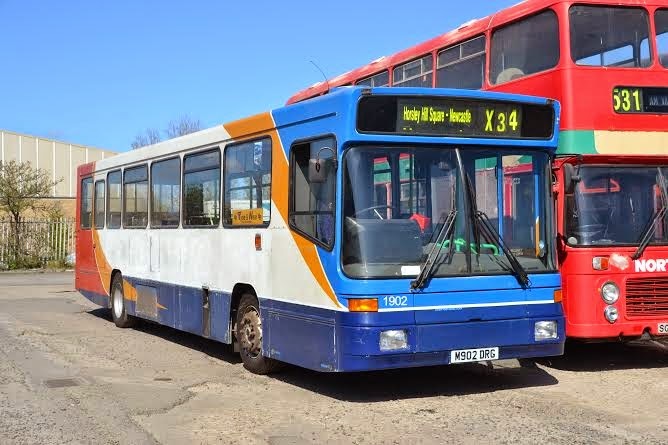 The vehicle was purchased from the Tyne and Wear bus preservation group in 2013 by Sean and Stephen Blair for further preservation and it is now about to be painted in Busways livery. 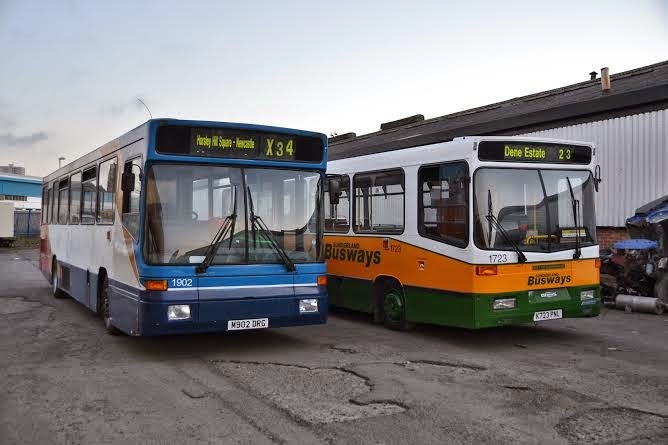 Sean would like pictures of the vehicle in original Busways livery if anyone can oblige please. Please contact us on focustransport2011@gmail.com if you can help. The interior of M902 DRG is trimmed in Stagecoach material which is retained for now but will eventually be replaced by red castle fabric.